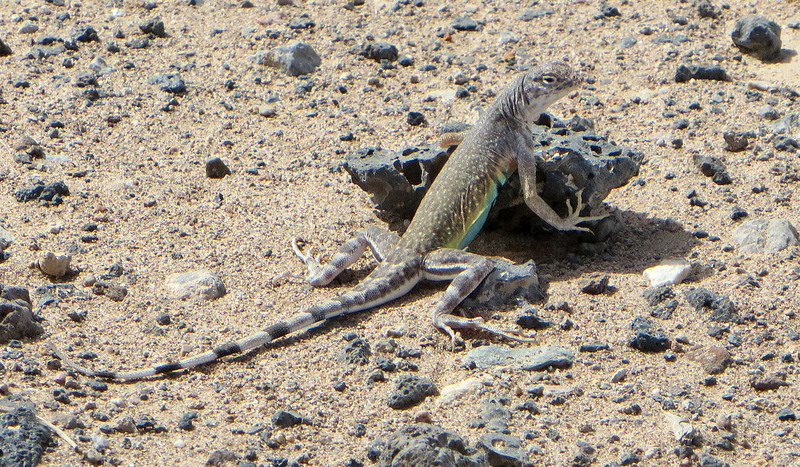 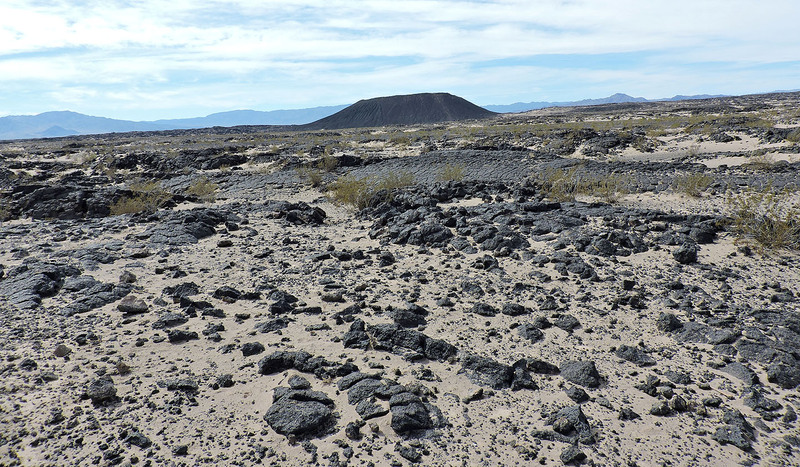 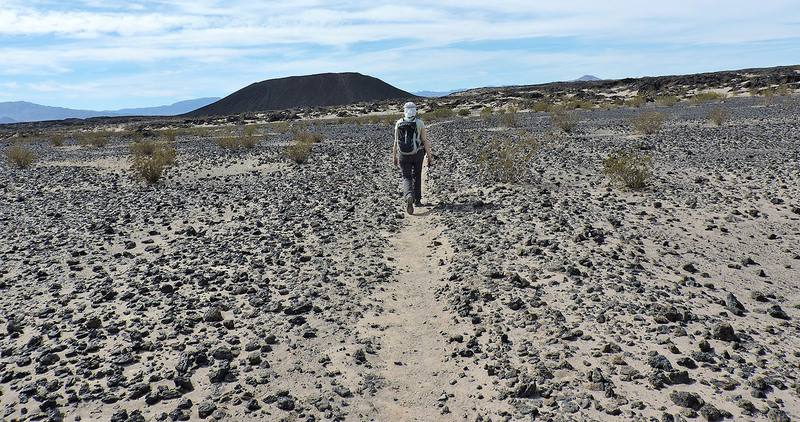 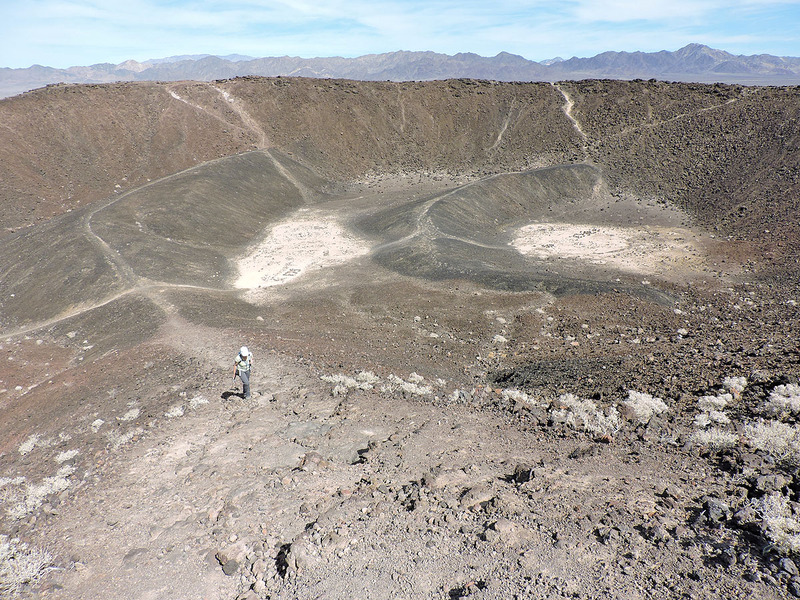 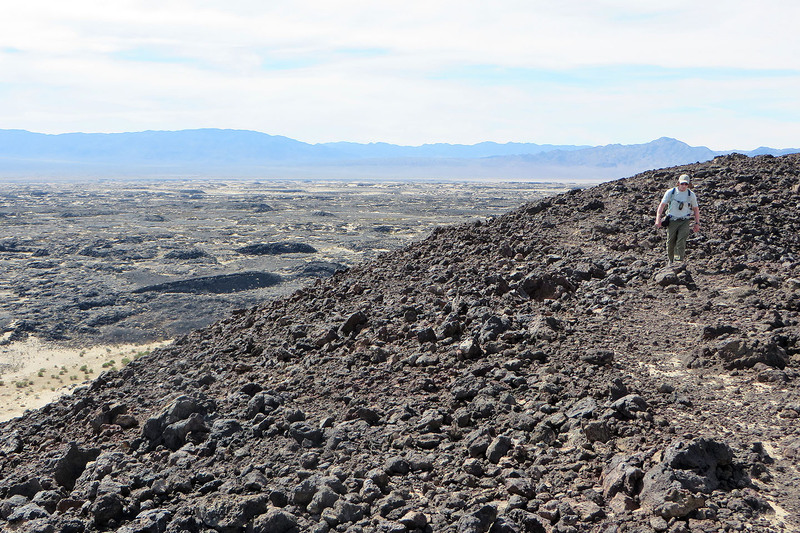 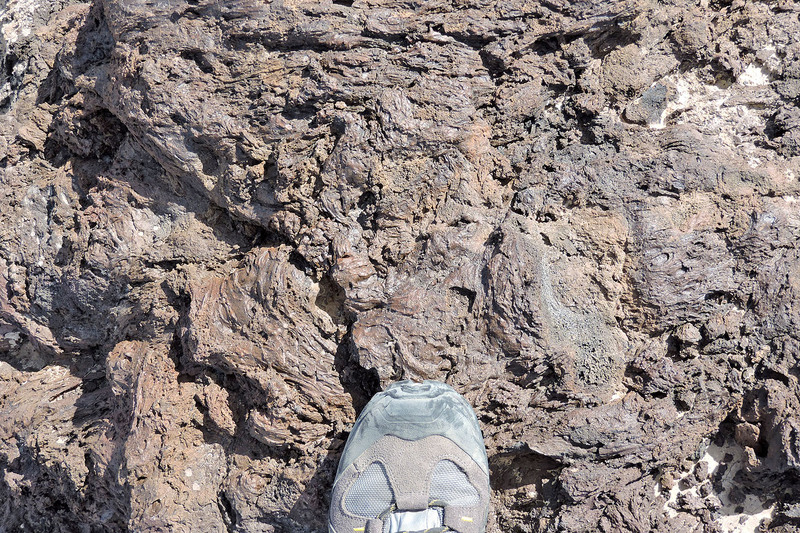 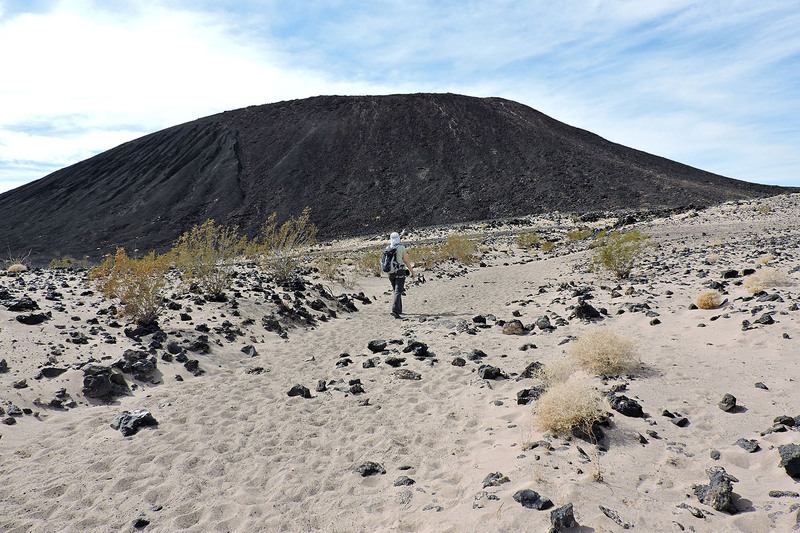 Amboy Crater isn’t our usual peak-bagging fare, being rather slight in stature, but the opportunity to visit a volcano proved irresistible, even if it was a dead one. 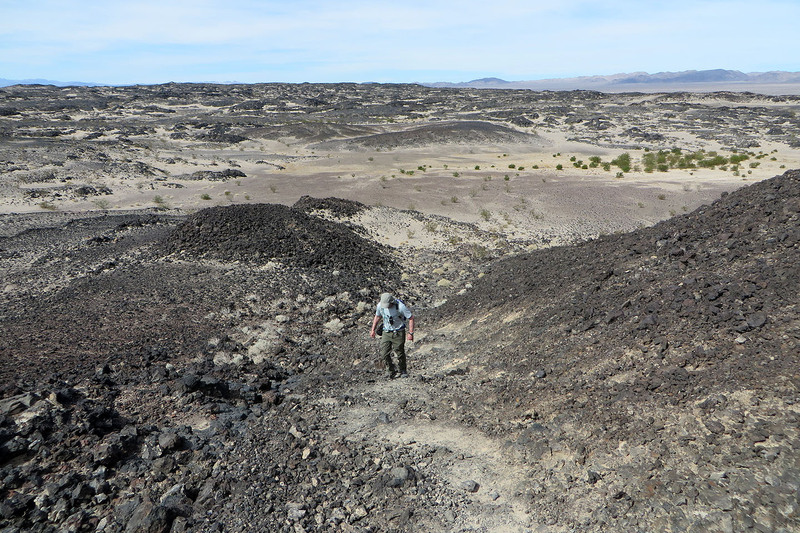 No matter that we missed the last eruption by 10,000 years. 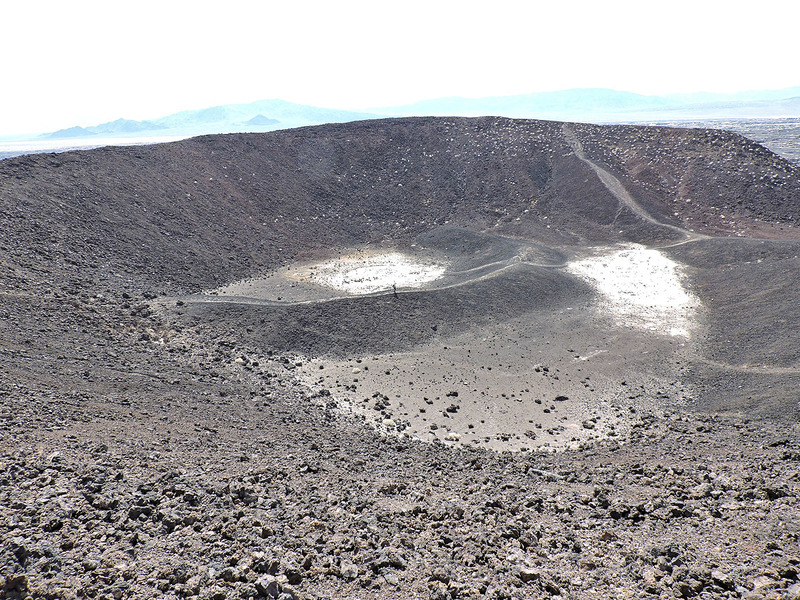 The crater is accessed from the famous Route 66 and is just a few minutes from the town of Amboy. 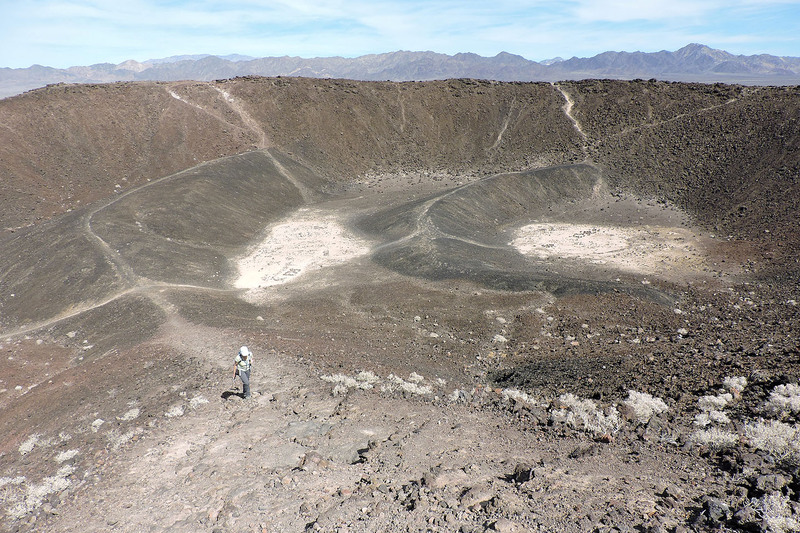 Amboy itself is a relic, although not quite as old as the Crater. 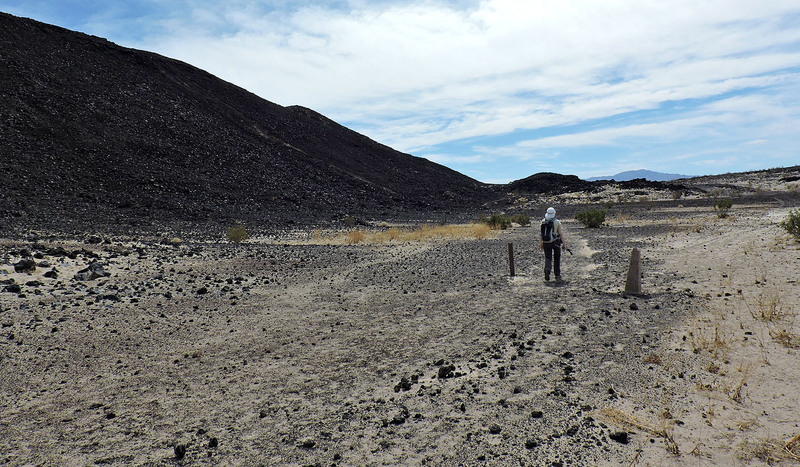 Wifi is unavailable at the fifties-era cafe, and the antique gas pumps looked too old to work, but they do although there’s no place to insert your credit card. 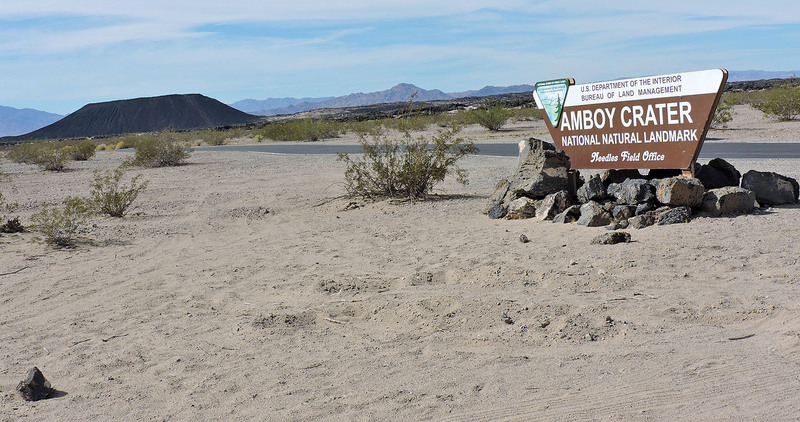 According Wikipedia, the population of Amboy is "approximately 4." 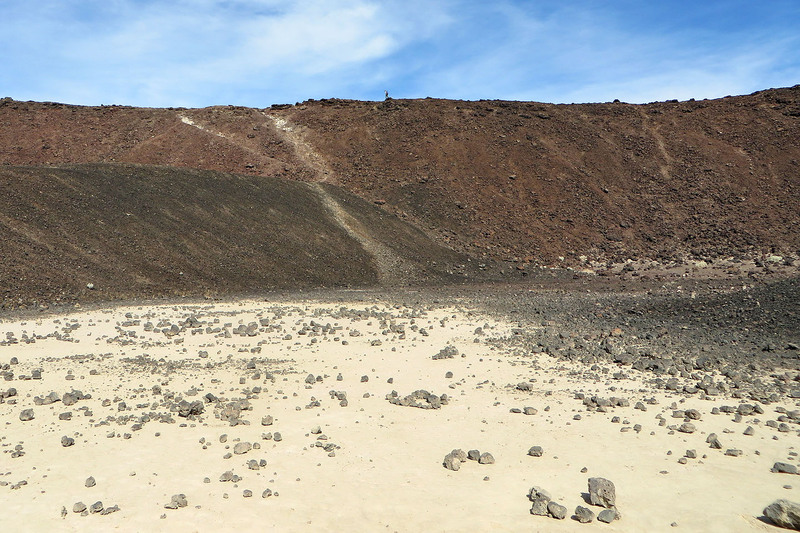 The parking lot for Amboy Crater is nicely designed to handle a throng of tourists, but we only saw one couple, and they didn’t venture beyond the viewpoint by the parking lot. 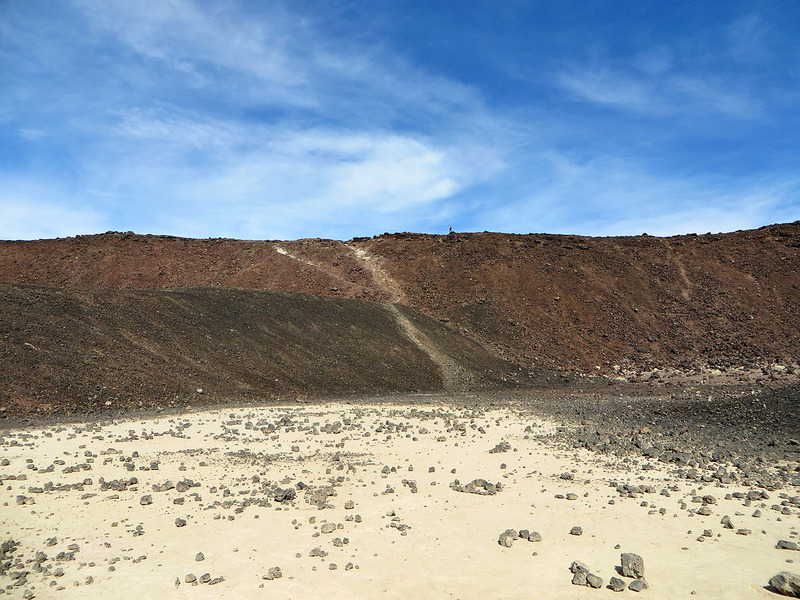 Maybe the 30°C heat discouraged them, or perhaps they didn’t have time for the 2.5 km hike to the crater. 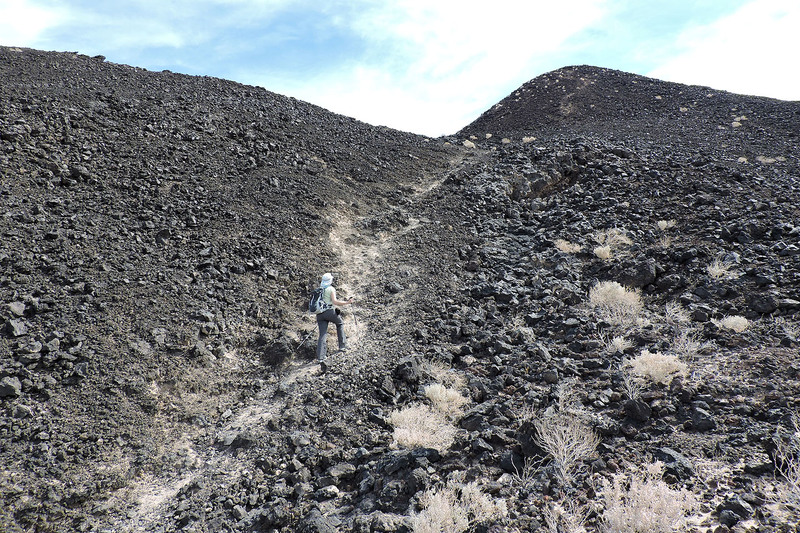 The trail runs to the backside where a break in the rim allows easy access. 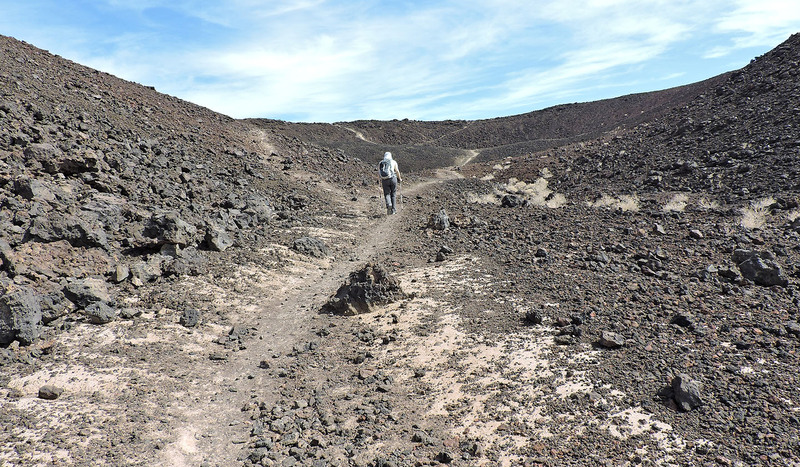 Dinah and I followed the trail, hiked up the break and dropped to the floor of the crater, although it was hardly a drop at all. 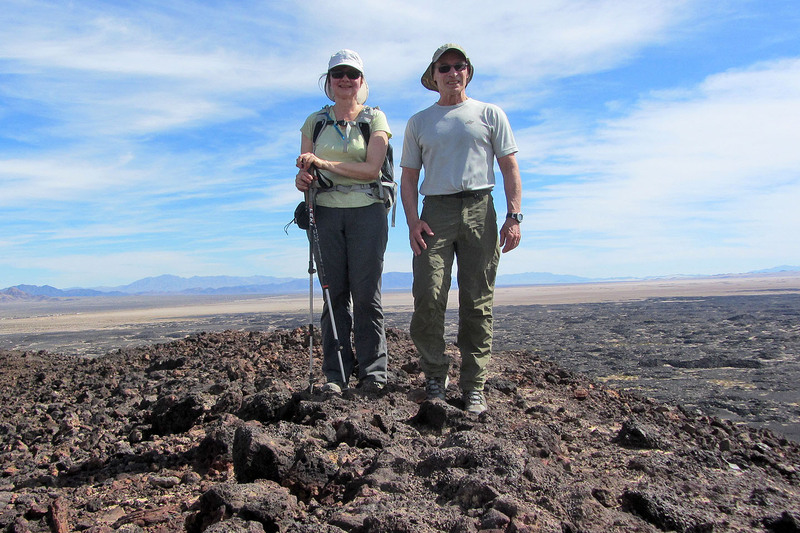 Then we climbed up to the rim. 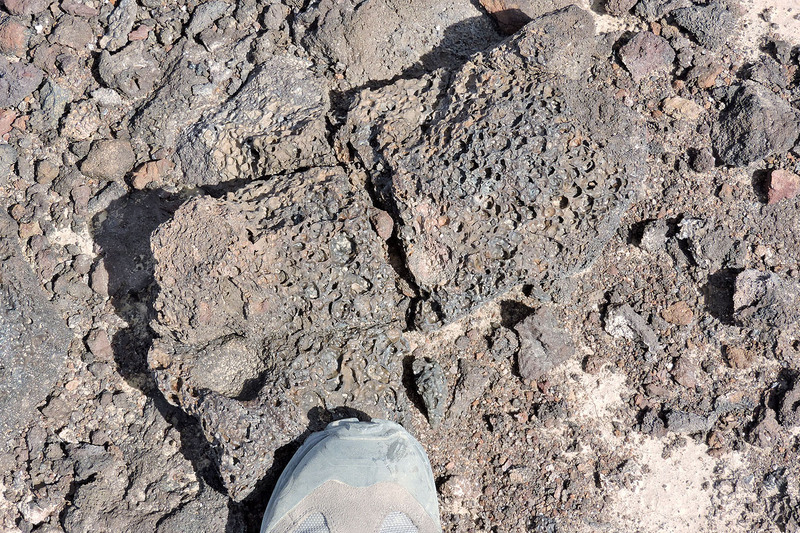 As interesting as the crater was, the vast lava field stretching all around competed for our attention. 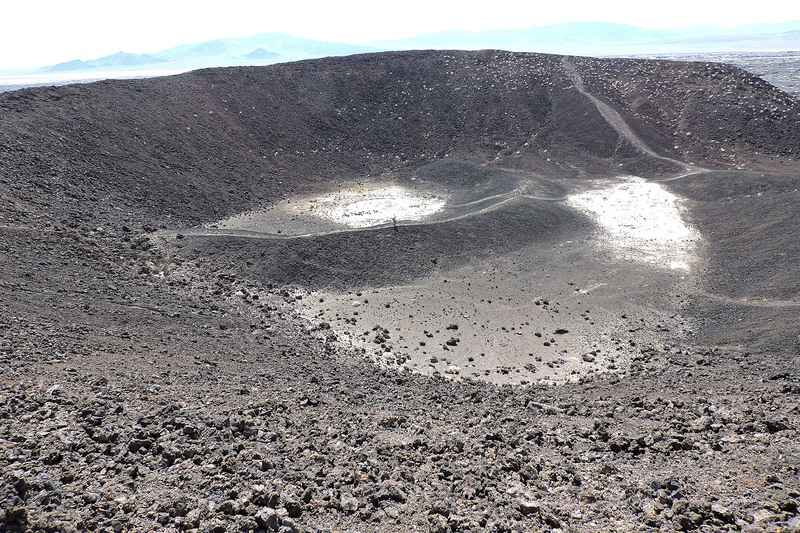 I circled the rim while Dinah completed a semicircle before dropping back into the crater floor to meet me back at the break. 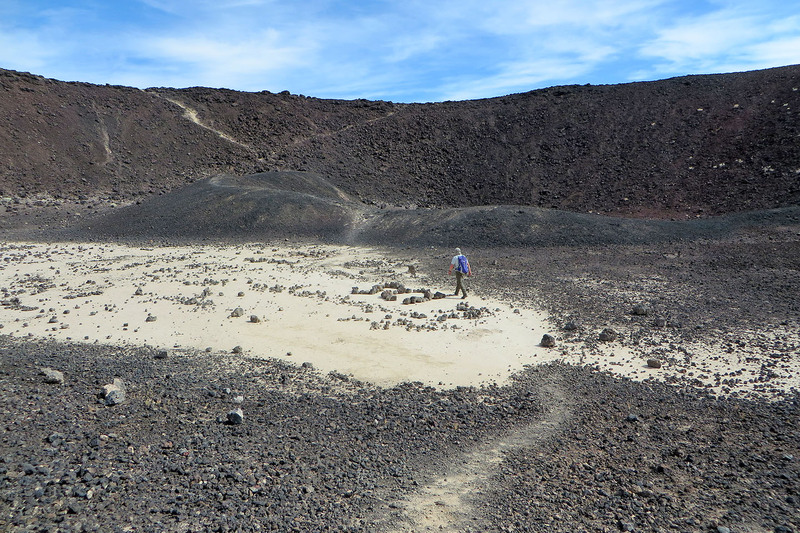 Then we trudged back on the sandy trail to the parking lot. 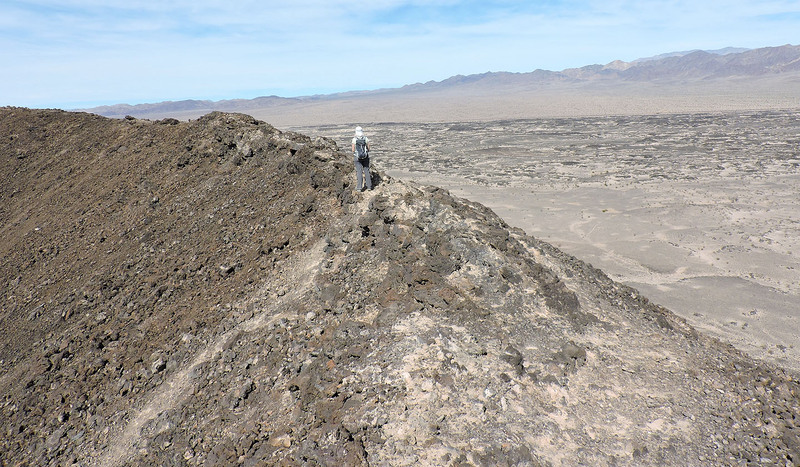 We enjoyed our visit to Amboy Crater, but had another short hike lined up to fill in the rest of the day: nearby Van Winkle Mountain.